We use fresh seasonal potatoes, 100% pure allergen free peanut oil*, and hand stir each basket while frying. Our potatoes have been California grown and packed for over three decades by a family owned farm here in Southern California. The Jim’s Dandy brand is a leader in the industry and is a certified packing facility . (Go to Agri-Empire.com for more information.) 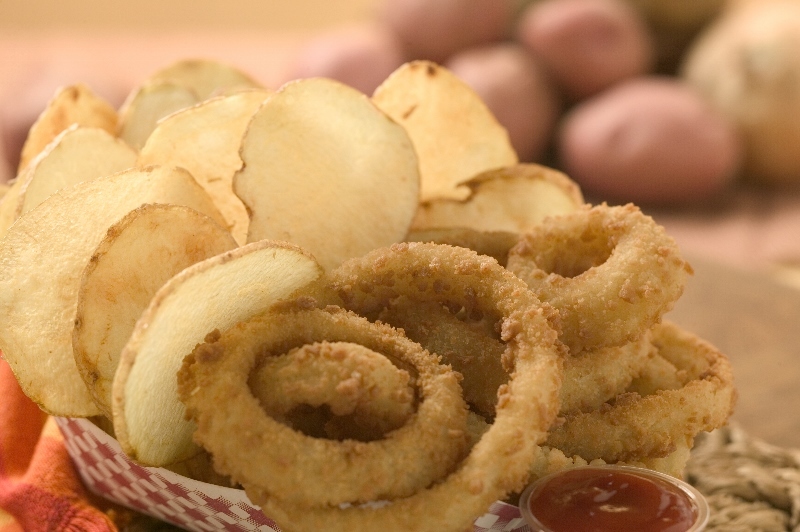 We also offer breaded onion rings. Our cheese sauce is the best available, with cheddar cheese first on the ingredients list. We us real bacon bits and even our condiments reflect our passion for the best. Cheese sauce flavors are “classic” Cheddar Bacon and Jalapeno. Did you know? 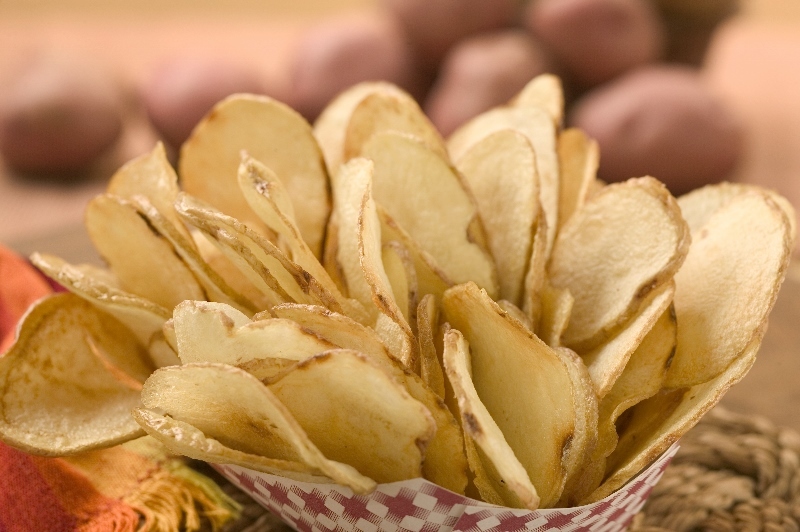 Tasti Chips® are Gluten Free when eaten plain. Enjoy! *Specification sheet available on site.